New Bolsover Model Village engaged with the public in a successful Heritage Open Day. 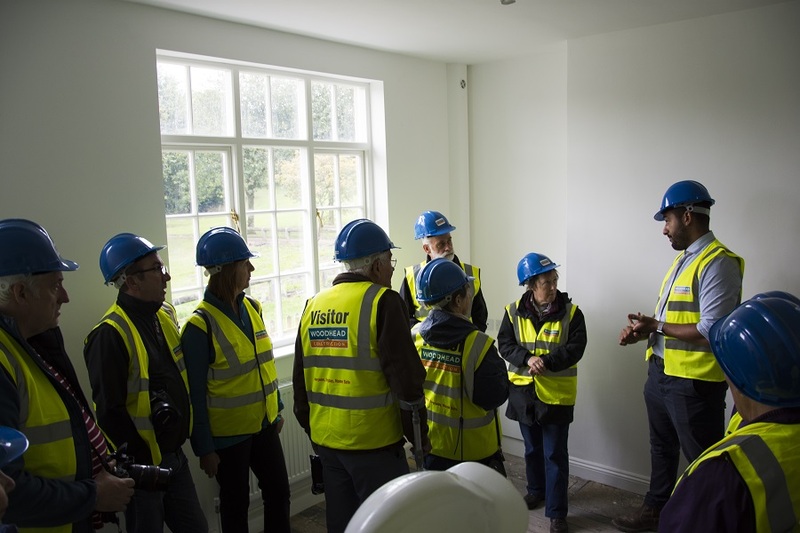 The Model Village opened its’ doors to the public to showcase the progress so far on the £10million Heritage Lottery Funded restoration and repair project procured through EEM Ltd. taking place at the 194 Grade II listed properties. The event saw hard hat tours run by Robert Woodhead Ltd, a heritage treasure trail around the village, a preview of a film documentary, ‘New Bolsover – the story so far’ and work created by local children from New Bolsover Primary School. There were displays from Bolsover Civic Society, Junction Arts and Bolsover Photographic Club which engaged visitors of all ages throughout the day. Also available, was a tour of The Pumpkin Patch, a community project based on the allotments adjacent to the New Bolsover Model Village, set up by Community Voluntary Partners. One of the many highlights on the day was the parade of a banner created by locals under the watchful eye of digital textile artist, Karina Thompson who has been delivering the Banner & Banter project with the community and commissioned by Junction Arts. The banner had been blessed a few days before the Open Day at a ceremony which took place at Bolsover Methodist Church. Reverend Rachel Gouldthorpe blessed the banner after it was unveiled to locals, artists and restoration project partners who had been involved in its creation. Artist, Emma Reynard, also commissioned by Junction Arts, showcased her large scale public realm artworks, as part of the Art on The Model project which was co-created with the input of residents from the local area. 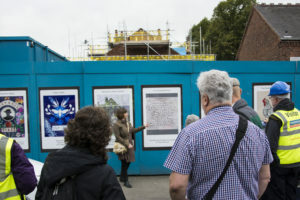 The artwork is displayed on the construction hoarding and metal window shutters to improve the outlook for residents, as well as share the unique heritage of The Model with interested visitors to the area. The event was supported by Friends of New Bolsover who provided refreshments and a very warm welcome to all visitors and contributors. For further information on the project, please contact Kim Wyatt, Project Manager, New Bolsover, Bolsover District Council on 01246 242288.